Today’s finance leaders are much more than simple scorekeepers. They now wield the power to create value throughout the business. In fact, the IBM Global C-suite Study found CFOs were second in collaborative influence, trailing only CEOs. 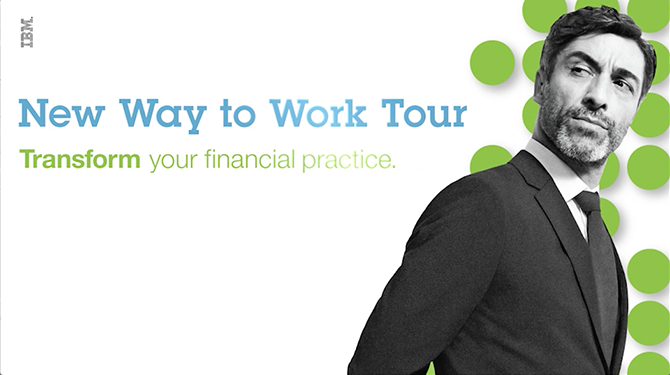 Are you prepared to capitalize on the opportunities facing you as a finance leader? True trailblazers are using new technologies to become “value integrators”, driving both greater efficiency and better business outcomes. It's About Time. We've Discovered a New Way to Work. Although the title of this talk could be read as a single phrase, the period after "Time" is significant. The fact is, data rich and analytically driven enterprises aren't necessarily using Cloud, Analytics, Mobile and Social technologies because they're comfortable with them -- or because they're digital natives. The reason they're using them is that they're impatient! Yes, new technologies are important and necessary. Without them, we would be relegated to the same working methods many of us find ourselves trapped within today. But data rich and analytically driven organizations are truly different. They don't work within traditional boundaries -- and you don't have to either! What we're proposing isn't a faster way to work. We're proposing a totally new way to work. Explore how IBM customers transformed their financial practice and participate in interactive round table discussions on how you can too.